Jane Goodger is an author in love with all things Victorian: houses, clothes, carriages, so it’s no wonder she writes Victorian romances. Her latest book, The Spinster Bride, is the last book in the Lords and Ladies series. Marjorie Penwhistle was once the belle of the Season, with men at her feet and the world on a plate. Now, at the ripe old age of 23 and still unmarried, she’s on the verge of becoming a spinster. Good thing Marjorie doesn’t care about that. She wants to live her life, travel, and care for her brother, who’s a bit different and the recipient of their mother’s ire. When Marjorie isn’t the recipient of it herself, that is, since her mother insists that she marry a man of title and wealth, and won’t take “no” for an answer. Charles Norris doesn’t have a title. What he does have is a war wound that makes him bitter, and a desire for a wife and a family of his home. He also has a tendency to fall in love with completely the wrong women, so he blackmails Marjorie into helping him find a suitable bride. Clandestine meetings, secret notes left in hidden spots, and covert plots draw the two together as they search for the perfect wife for Charles. Along the way, they become friends, and fully appreciative of the stellar qualities of the other. It’s a good thing they are entirely unsuitable for each other. Or are they? 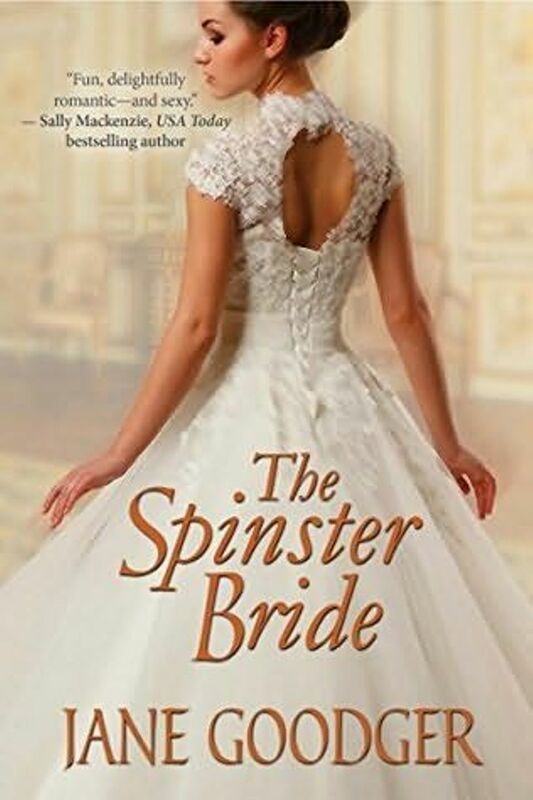 The Spinster Bride is a humorous tale of romance and light intrigue, and characters that will make you laugh, sigh, and root for them to see the light. The relationship that develops between Marjorie and Charles shows real depth as the characters show their secret selves and realize perhaps the one they were looking for was right in front of them all along.